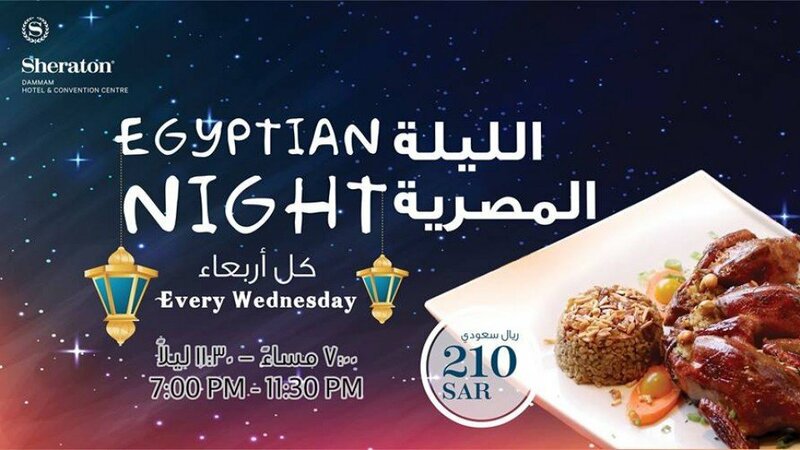 Egyptian Night at Sheraton Dammam Every Wednesday! From perfectly chargrilled meats to our famous tagines, experience the flavours of Egypt with the most authentic Egyptian cuisine Dammam has to offer. Price: 210 SAR / person.